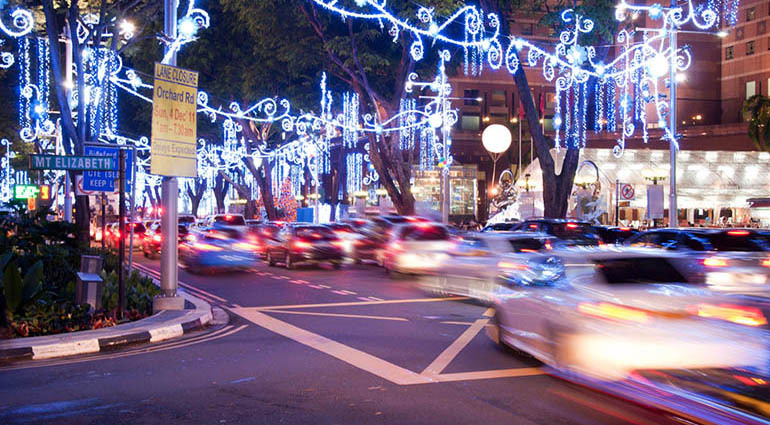 Each year for several weeks around Christmas, Singapore’s tourist belt, Orchard Road, is transformed into a wonderland of lights and colors. This light-up is designed to attract tourists to spend their money at the many stores along the street during this “golden month of business.” Shoppers come to enjoy the festivities, listen to choirs sing familiar Christmas carols, and watch performers entertain. The first Christmas “light-up” ever was not created by electrical cables, glitter, and neon lights but by “the glory of the Lord [that] shone around” (Luke 2:9). No tourists saw it, just a few simple shepherds out in their field. And it was followed by an unexpected rendition of “Glory to God in the Highest” by an angelic choir (v. 14). The shepherds went to Bethlehem to see if what the angels said was true (v. 15). After they had confirmed it, they could not keep to themselves what they had heard and seen. “When they had seen him, they spread the word concerning what had been told them about this child” (v. 17). Many of us have heard the Christmas story often. This Christmas, why not share the good news with others that Christ—“the true light that gives light to everyone”—has come (John 1:9).